I want to say a huge thank you to everyone who has helped my new book, Unlock Gratitude Now! into an Amazon #1 bestseller. I’m really happy because last weekend, Unlock Gratitude Now! achieved #1 status in three different categories in Amazon. It became #1 in psychology and counseling, #1 in applied psychology, and #1 in happiness. And not only that, it actually got to 6th place in self-help overall. And that’s a phenomenally hard to achieve. It’s a really competitive category and it’s competing with 96,000 other books. So I’m really happy and I really want to say a really big thank you. 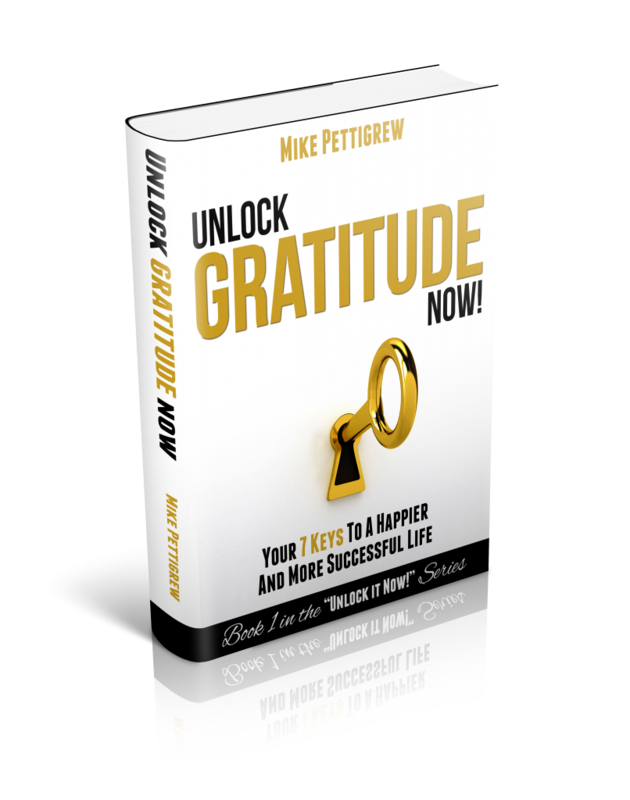 And if you haven’t already got a copy, please do go to Amazon, look for Unlock Gratitude Now!. And the book can take you very far on the road to happiness and success because it outlines a really simple framework, really accessible framework that enables you to actually transform your dominant thoughts and emotions because what we carry in our hearts are dominant thoughts and our dominant emotions actually create the circumstances of our lives. And also when you get the book, there’s a free 4-part video course that complements the main book itself. And in that course, there are two experiments, two mind over matter experiments that you can do for yourself that will prove to you that your thoughts and your emotions really do affect physical things and that your dominant thoughts and emotions really do draw into your life the circumstances of your life. So I think you’ll find this very illuminating. And together with the book, this will take you very far on the road to becoming much happier, deeply fulfilled and achieving continuous successes for the rest of your life. It really is a roadmap and framework that can do great things for your life. So once again, thank you so much for helping Unlock Gratitude Now! : Your 7 Keys to a Happier and More Successful Life become a #1 bestseller on Amazon. Thanks so much and see you again soon. I really do hope you have enjoyed this episode. Before I go, I have a very special offer for you, which I’ll explain in a moment. But before I do, I just want to say that if you have enjoyed this episode then please do give us a like below this video because when you do this, it enables other people to also benefit from it. Of course, if you’d like to leave a comment then you’re most welcome to do so and I would be really happy to hear from you. Now, if you’re watching this episode on YouTube then please do remember to subscribe to my channel. And you can also listen to my Transformation and Empowerment Podcast on iTunes. Now, let me tell you about the special bonus I mentioned a moment ago because if you go to my website right now at MikePettigrew.com then for a limited time only, you can get free lifetime access to a special members only area. Membership will give you access to all sorts of inspiring and empowering videos and training materials that you would not find anywhere else on my website. And again right now, membership is completely free. But I can really only offer this for a limited time. So I would strongly recommend that you get your membership right now. And I believe you will find it a very valuable resource and source of inspiration and empowerment. And you can sign up and get immediate access from any page on my website. So again, thank you so much for watching this episode. And I look forward to serving you again soon.